We offer an extensive range of 10 & 12 Lead ECG Cables. The following products options are available for almost every ECG machine including Bosch, Burdick, Fukuda Denshi, Fukuda ME, GE Marquette, Hellige, Kenz, Mortara, Nihon Kohden, Phillips HP, Schiller, Siemens, Spacelabs………………. 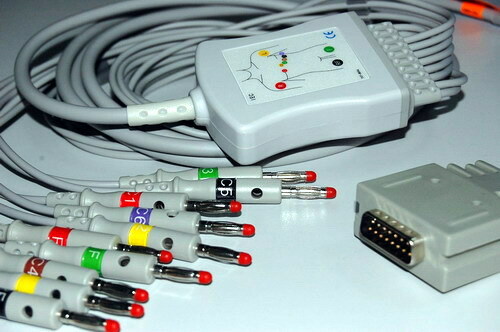 We also offer ECG cable adaptors. Making sure you choose the right ECG cable can be quite difficult, which is why we don’t list any ECG products codes on this page. To ensure our product meets your needs and is the right configuration, we always recommend calling our Customer Care Team on 01707 385226 so we can check compatibility, provide you with the correct price and part no, reassuring you that you will get the right product when you are ready to order.